"One hundred and fifty words by Gaffney are more worthwhile than novels by a good many others"
David's new graphic novel with Dan Berry The Three Rooms In Valerie's Head is out now with Top Shelf. Check out David's article for The Guardian on writing flash fiction here. 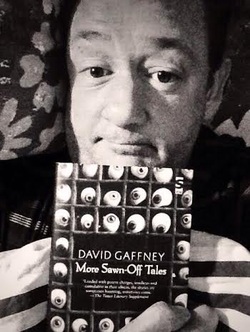 "Great read, these twisted wee tales"